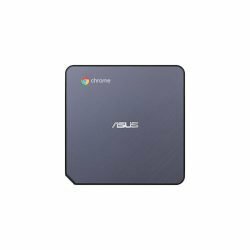 ASUS Chromebook Flip, M3-6Y30 Processor (4M Cache, up to 2.2 GHz), 12.5″ FHD, 8GB DDR3, 32GB EMMC, Illuminated Chiclet Keyboard, HD Web Camera, Micro SD, 2xUSB-C, Chrome OS, Silver, 1 YR PUR. 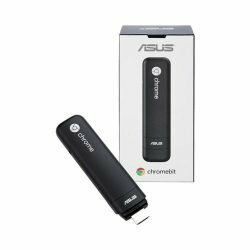 ASUS Chromebook Flip C302 packs brilliant and innovative features into its compact and stylish design, including a 16:9 HD camera, a 1920 x 1080 FHD display. The Chromebook features a elegant sliver lid, with a tough and durable metal finish adorning the rest of the chassis. 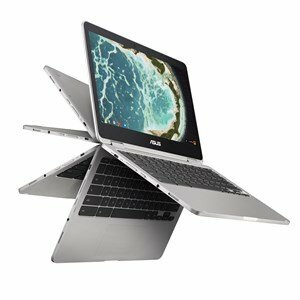 The unique 360° hinge lets you use Chromebook Flip C302 in an endless variety of ways, including laptop, tablet, stand and tent modes. 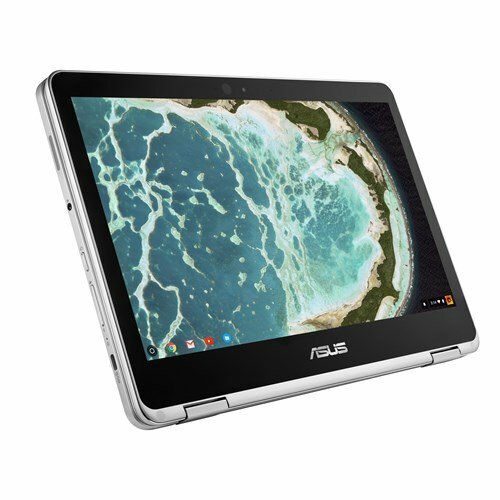 Chromebook Flip C302 lets you communicate, share, work and play the way you want! With its 12.5-inch Full HD wide-viewing-angle panel, Chromebook Flip C302 is perfect for sharing the screen contents with a group of people, in any mode. Chromebook Flip C302 also features a light sensor which automatically adjusts the brightness to suit the ambient lighting. 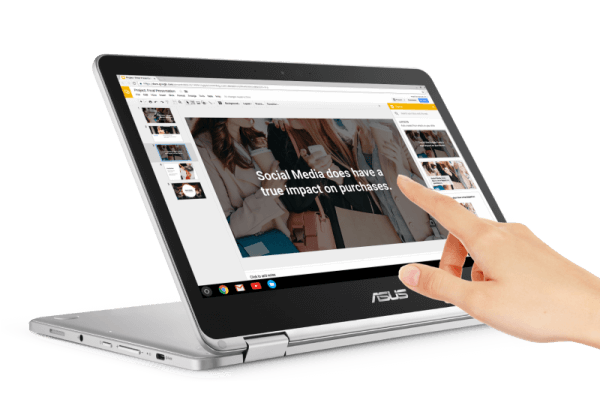 ASUS takes great pride in making its products easy and fun to use, and the multi-touch display on the Chromebook Flip C302 will enhance your experience on whatever screen angle you choose. ASUS puts extra effort to insure that the display is more accurate and responsive than conventional touchscreens. Typing is now more comfortable than ever with the full-size one-piece chiclet keyboard. An improved back-assembly provides 1.4mm of key travel and minimal key float, so you get a more solid typing feel. The spacious 104.5mm x 61mm touchpad found on the Chromebook Flip C302 has a palm rejection feature which differentiates between actual fingertip and palm contact to counter unintentional cursor movement. 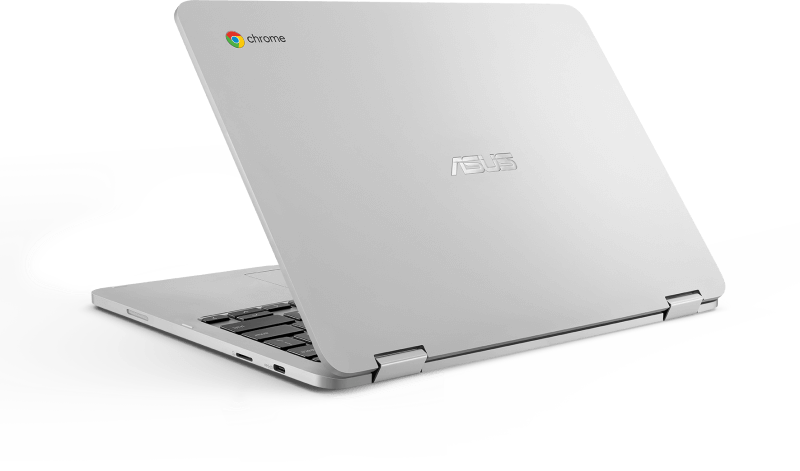 ASUS Chromebook Flip C302 is powered by the 6th generation Intel® Core™ m3, m7 or Pentium® processors and supports up to 8GB DRAM. The Chromebook Flip C302 boots up instantly and gives you the performance you need to run apps smoothly. 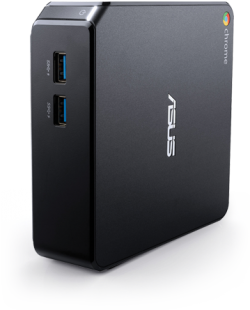 Chromebook Flip C302 features two USB-C ports for brilliant simplicity and lightning-fast transfers of up to 5Gbps, while maintaining complete backward compatibility. The micro SD card slot allows you to conveniently upload photos, videos or other files to the device. Connectivity is everything in the modern world, so Chromebook Flip C302 features the latest, fastest 802.11ac Wi-Fi for speeds up to three times faster than 802.11n. C302 also features power-efficient Bluetooth® 4.0 for fast and convenient connectivity. The power-efficient Chromebook Flip C302 is designed to last for up to 10 hours on a single charge, you can enjoy with no worries throughout the day while on the move. Whether your at school, at work, or on travel, the Chromebook Flip C302 is easy to take anywhere thanks to its amazing slim and lightweight design. It may be slim and light, but that doesn’t mean Chromebook Flip C302 has to compromise on sound quality. With its high-quality stereo speakers and extra-large resonant chambers that generate up to 87dB of high-fidelity audio, Chromebook Flip C302 can deliver surround sound that’s as good as much larger laptops, with crisp and powerful audio to give you an immersive experience for both music and video streaming. With its automatic updates and built-in anti-virus protection, Chromebook frees you from the worry of keeping your Chromebook Flip C302 safe, secure and always up to date. And as it’s built on the rock-solid security of your personal Google account, all your private documents, emails, photos and personal data are kept safe at all times. Chrome’s web-based management console lets you easily manage users, applications or devices across your organization from a single place. With Chrome device management, organizations can configure Chrome features for their users, allow or block apps and extensions, as well as force install apps.